The govern­ment commit­tee has appare­ntly failed in the face of the deadly amoeba. 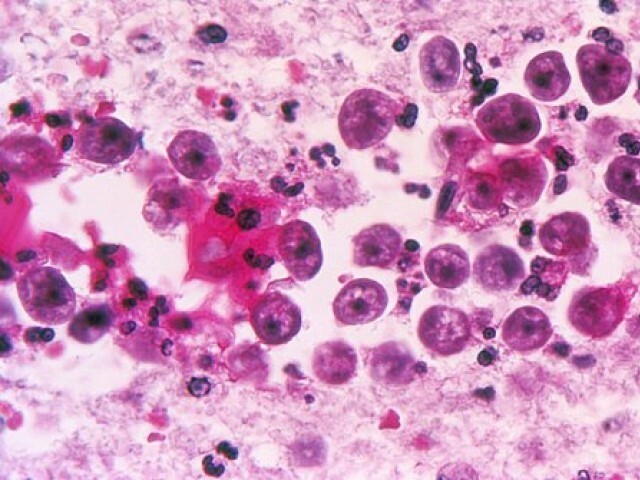 KARACHI: The deadly brain-eating amoeba, Naegleria Fowleri, claimed another life on Wednesday, taking the total death toll in Sindh to seven this year. The latest victim, 29-year-old Adil was a resident of Rafah-e-Aam Society in Shah Faisal Town, Karachi. He developed high fever on August 11 and was subsequently admitted to a private hospital. “His death has been reported today,” confirmed Karachi Health EDO Dr Zafar Ejaz. Adil used to work in a private factory located on Hub River Road. Dr Ejaz said that the patient history confirmed that he had not gone for swimming to any area. “We have taken water samples from the area where he lived and also where he worked,” he added. This is the seventh casualty reported due to Naegleria in Sindh, of which one was in Hyderabad while the rest were reported from Karachi. Chlorination of water supplied through pipelines is considered the only option to prevent infections. According to sources, most water samples taken from different parts of the city showed absolutely no trace of chlorine. Jolted by the first casualty earlier this year, the provincial government had constituted a committee, comprising officials of the health department, local government department and the Karachi Water and Sewerage Board to monitor the chlorine levels in water across the city. The committee appointed a focal person, met a few times and repeated the bureaucratic-style rhetoric. What it failed to do was accomplish its objective. What is even more surprising is that the government has failed to arrange the required number of chlorine tablets. Moreover, the officials have yet to establish a plan for the distribution of tablets to the 18 towns in the city. In the latest incident, chlorine was neither present in water samples taken from Hub River Road or the Rafah-e-Aam Society. Published in The Express Tribune, August 15th,2014. The death was confirmed by Karachi’s EDO Health Dr Zafar Ejaz.